Start typing your search term and press Enter for search. To cancel, press ESC. The Alain Delon Fashion brand has been operating in Slovakia for several years now. For a long time, this brand was a retail-only business, but had a promotional webpage. In 2014, we prepared a responsive e-shop for the client, and later on, an online marketing campaign was launched. A year later, we started a blog by the name “Journal”,in order to present our content marketing. In the beginning, it was kind of unusual, but we knew that fashion was a great topic for content creation. Likewise, it was important that we had a quality background and some nice visual materials, but we didn’t choose a marketing strategy right away. We were clear about our target audience – current customers, with whom we wanted to add value to their purchases; something, that would convince them that we’re experts in what we do and that we‘re doing it really well. Another part of the target audience were potential customers. We wanted to show them the brand and products in a more organic way than classic advertising formats. Based on data from the e-shop, the target audience is made up of current customers and both men and women are represented in a ratio of approximately 50:50. As for journal readers, numbers are very similar, and the ratio of men to women is 48:52. Most of the readers are in the age range of 25 – 34 years old and are mainly those with a higher income and come from from more affluent regional cities. Our blog’s primary goal is to raise brand awareness, to educate, to inform and to entertain our readers about relevant topics. Our secondary goal, but one of equal importance remains the sale of Alain Delon Fashion products. Furthermore, we are constantly trying to bridge offline services with online ones through a pleasurable shopping experience. In stores, we ensure this with the help of sales assistants and we‘re trying to create the same experience online with our product content, communication on social media and with a chatbot named “Gentleman Alain”,who advises people on gift hunting during the Christmas season. In the beginning, we were thinking about our target group and so we’ve published articles such as interesting destinations for a trip or holiday, gastronomy, pop culture, high-end cars, and of course, we wrote about fashion. We tried to offer the best advice, tips and give as much inspiration as possible. The products have been placed in articles, where they make logical sense, but we’re trying to avoid being too pushy. Step by step, we started creating video content, which has become popular much quicker than we had expected, and we’re planning to continue making more. We don’t like to toot our own horn, but the most read article in 2017, was our now immortal video – “How to iron a shirt”. Our Journal is published as newspapers with 3-4 articles published at the same time once per month. Gradually, we’ve been trying to present blog topics and articles in advance. While deciding on future topics, we take into account the given season and the most popular search terms that come with it. We identify most popular topics and take this information into account during the planning process. For instance, the number of product views and purchases in the e-shop is also based on our articles. Most of the traffic is coming from social networks and Strossle widgets. Of course, overall success depends on the channel investment budget. Additionally, a large part of the traffic is due to Google’s organic search traffic, yet direct traffic has been increasing little by little. Until now, newsletters hadn’t been fully used in article promotion, but we want to remedy this problem this year. Content marketing and native advertisement are a long-term processes, and the results aren’t immediately visible, but we’re continuously evaluating all the important metrics, and thanks to it, we’ve been planning our activities better. For individual distribution channels, we evaluate additional metrics such as post interactions on social media, CTR for Strossle widgets and so on. The more articles the reader reads on the journal page, the more likely the reader visits the shop website. This means, that the better the content is, encouraging the reader to read more, the higher the brand trust is and results in a higher likelyhood a purchase will be made. 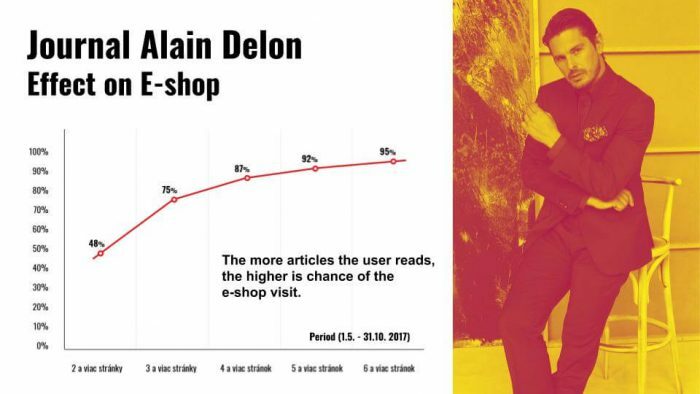 Based on data collected over 6 months in 2017 (May – October 2017), after reading 6 or more articles, there was a 95% higher click through rate to the e-shop. This data is our motivation, for delivering even better and more valuable content as added value to the already high quality products. 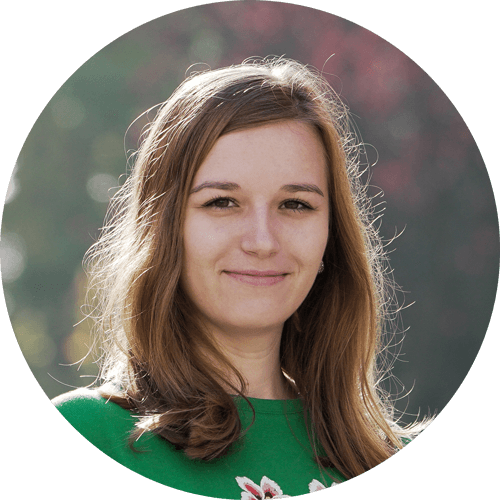 So, if you’re interested in this topic, check out the case study, we prepared in cooperation with Strossle. Are you interested in preparing a content marketing strategy or do you need help with existing content? Contact me at lenka.kacerova@riesenia.com. What’s the difference between Google Ads and Google Analytics results?